“Death and grief are topics avoided at all costs in our society. If we talk about them, maybe we won’t fear them as much.”—Audrey Pellicano, 60, host of a New York City Death Café. 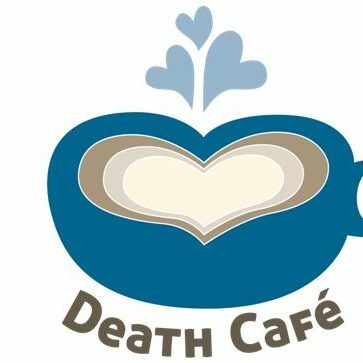 The Death Café was born in England in 2011, “to increase awareness of death with a view to helping people make the most of their (finite) lives.” Since then, Death Cafés have become a worldwide movement where people, often strangers, gather to eat cake, drink tea and discuss death, dying, and facing our own mortality. How Does a Death Cafe Work? At a Death Café, a facilitated group discussion of death takes place with no agenda, objectives, or themes. A Death Café is just a place where people of all ages – with different motivations, experiences, and needs—gather to talk. It is neither a ‘self-help group,’ nor group therapy, not grief support or a counselling session. With just a few ground rules, meetings are confidential and not for profit. People must respect one another’s disparate beliefs and avoid proselytizing. With the goal of destigmatizing death and being better prepared for it when it touches our lives, the Death Café provides a safe place to explore and understand our feelings surrounding end of life issues. This resonates with Seniors At Home’s mission to provide holistic support those facing serious illness or the end of life and their families through our award-winning Palliative Care program. Through events, workshops, and advance care planning, Seniors At Home’s programming aims to contribute to opening up the conversation about illness, death, and dying. Over the past three years, Seniors At Home has hosted 11 Death Café meetings at our Palo Alto location, facilitated by Mission Hospice & Homecare. 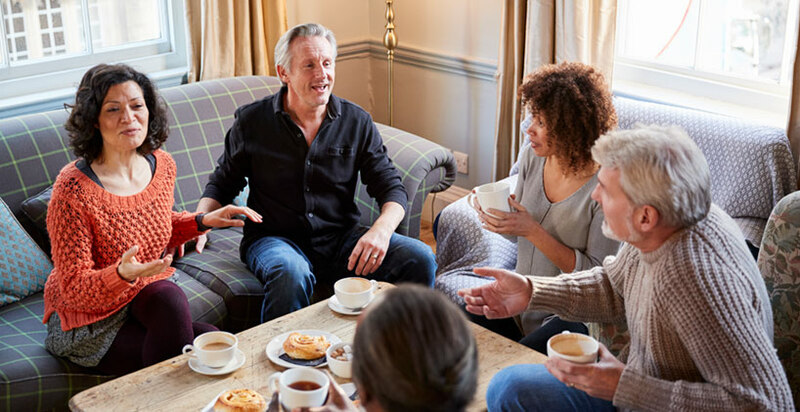 In 2019, Seniors At Home and Mission Hospice will collaborate again to host quarterly Death Cafés in both our Palo Alto and our San Mateo locations. We invite you to join us for this unique experience, and encourage you to invite a friend or family member along. Tea and cake await! With any questions about aging or senior care, call Seniors At Home at 844-222-3212 or contact us online.